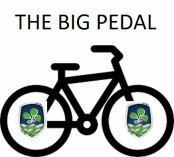 Monday 25.03.19 sees the launch of our Big Pedal event. Children are invited to ride bikes/scooters/trikes to school aslong as they are wearing a helmet. During the school day children will have access to these to complete laps of our track.